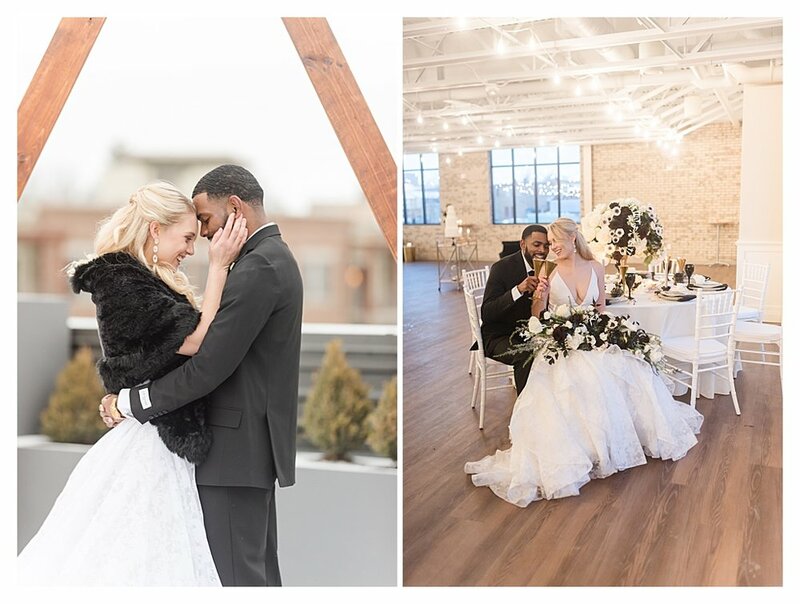 I traveled 5.5 hours to work with Holly Jo, Aavante, and this incredible vendor team, and every second of it was completely amazing. 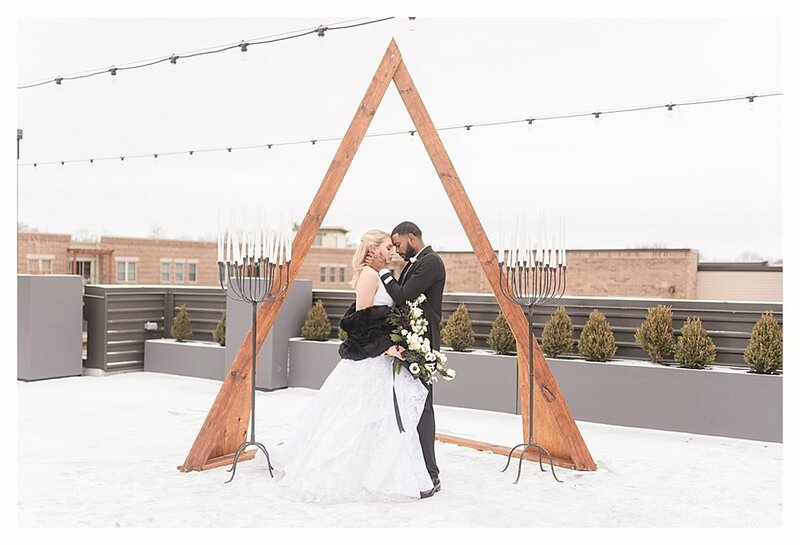 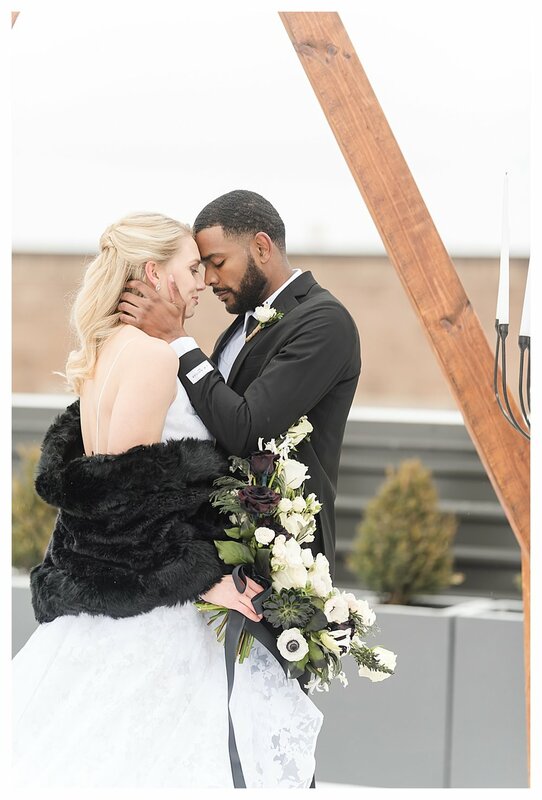 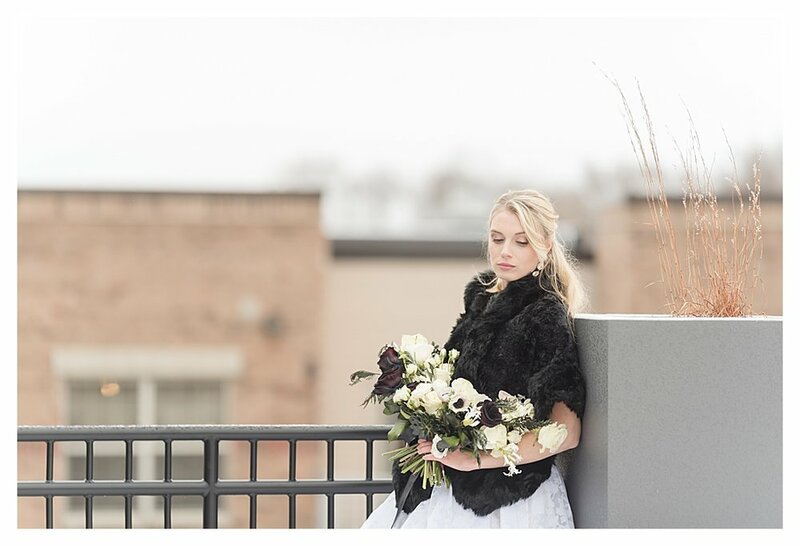 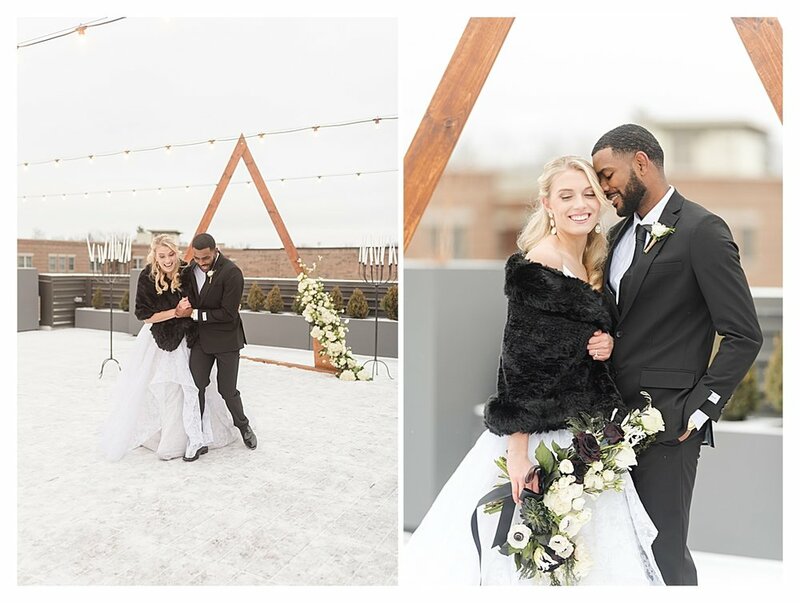 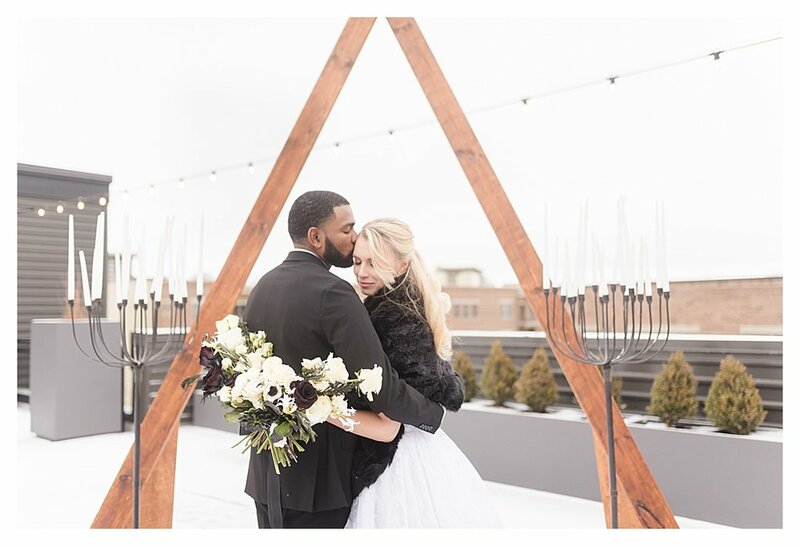 These two had such beautiful chemistry, the rooftop views were perfect with the winter snow covering the ground, and the elegant black and white color scheme had this wedding photographer completely in love! 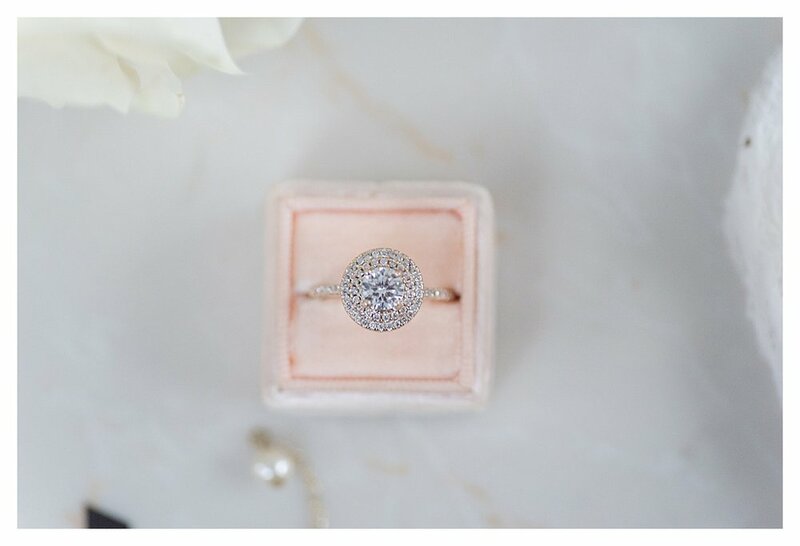 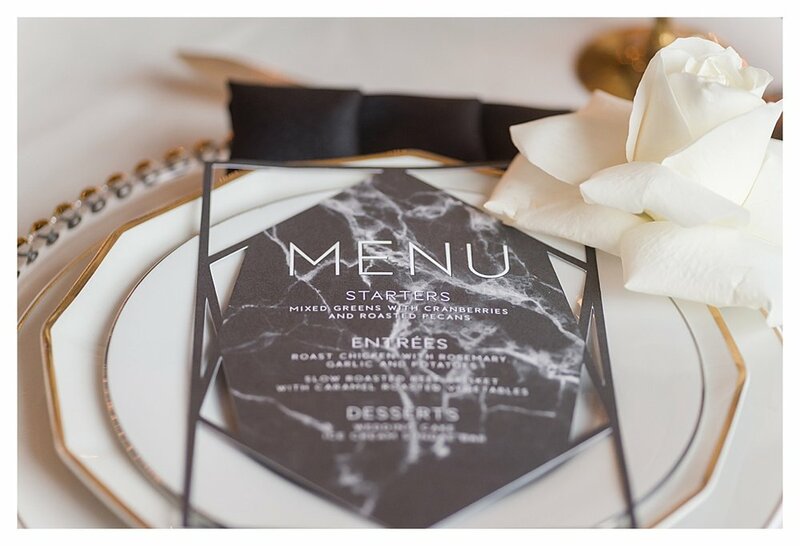 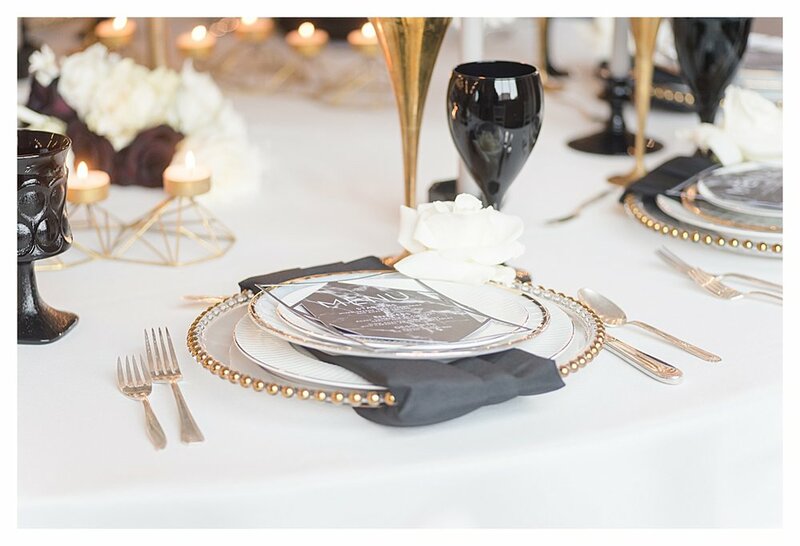 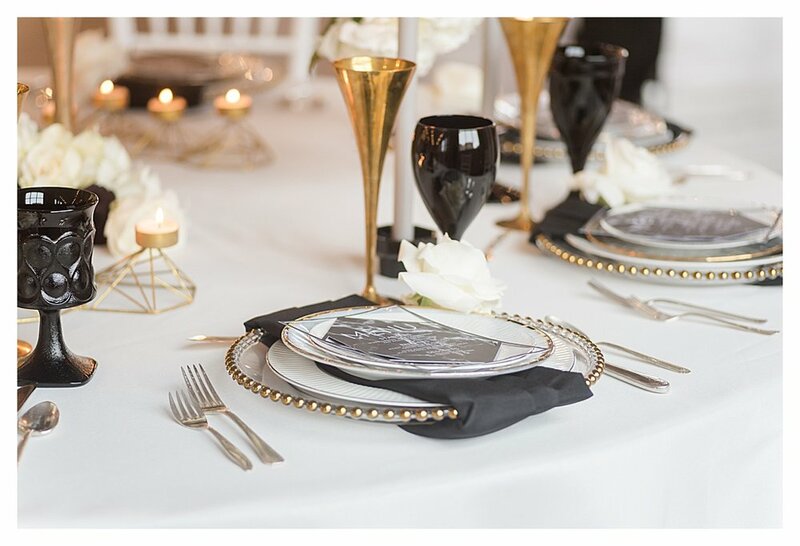 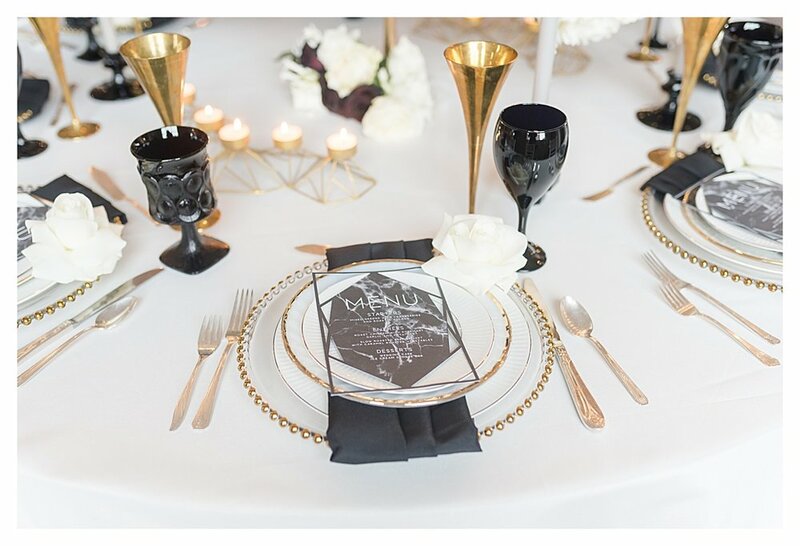 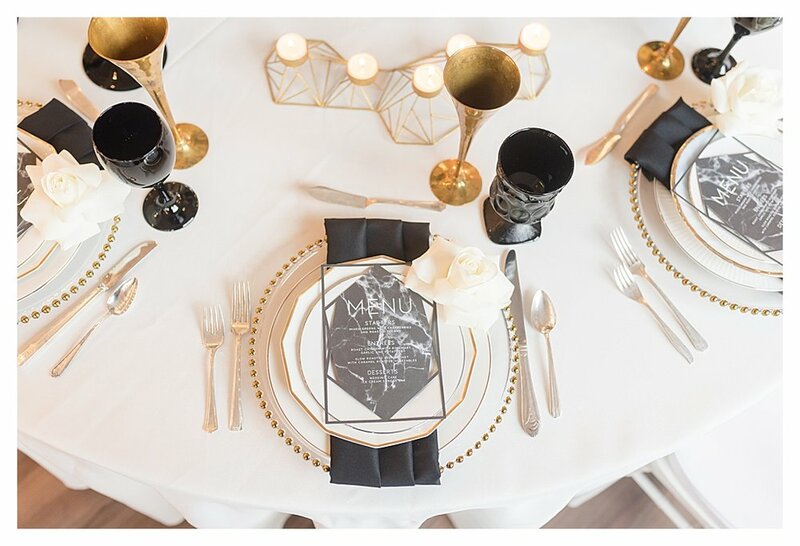 I have photographed a few other black and white themed weddings this year, and, although I just adore lots of color, the simplicity of black and white has such an elegance to it that it’s quickly becoming one of my favorite color schemes! 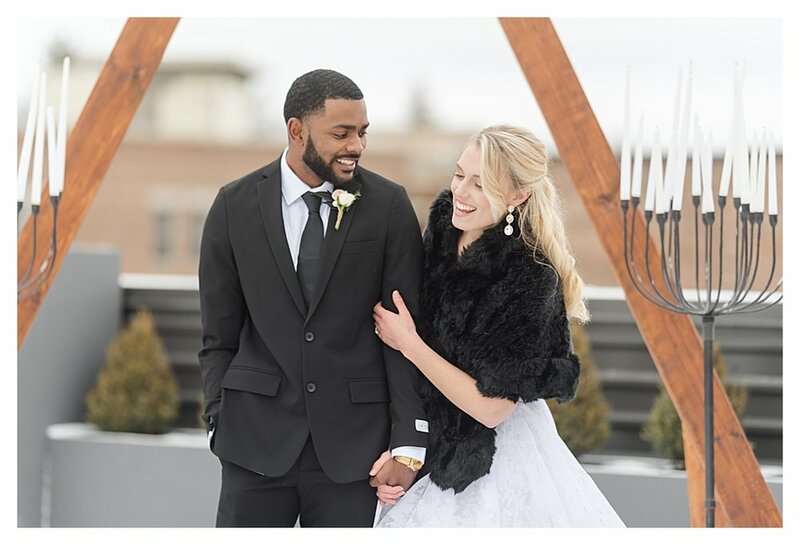 This was my first time in Madison Wisconsin, but I hope it won’t be my last! 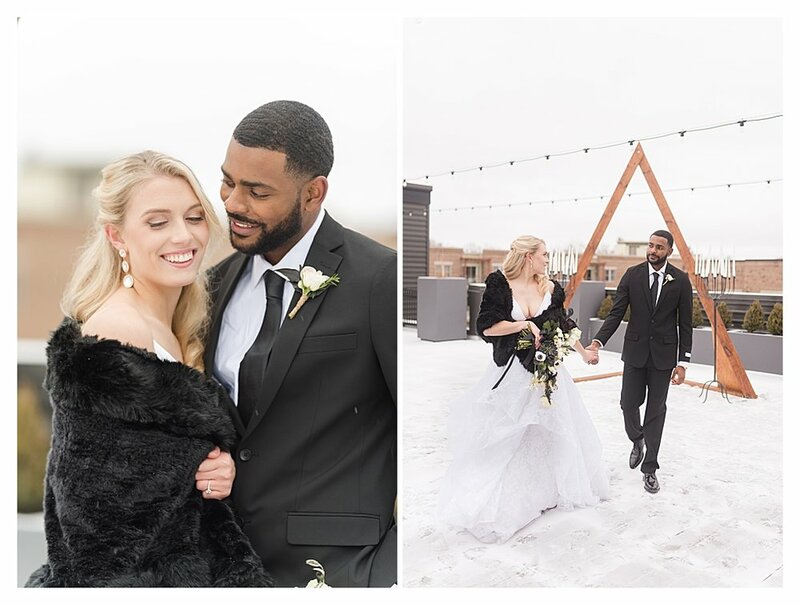 Although it’s so much colder than Indiana and the sun sets so much earlier, the snow covering the ground was just perfect for a winter wedding! 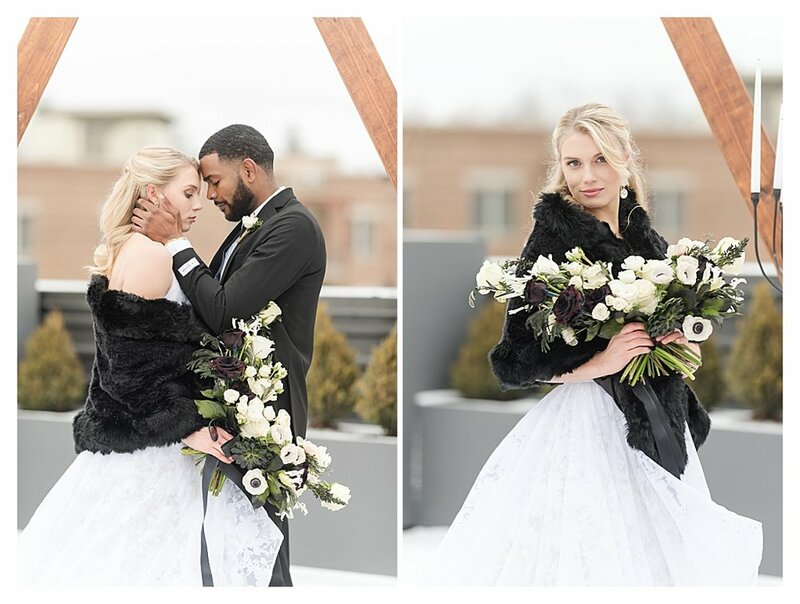 And luckily these two Wisconsin natives were used to the cold, and had no problem being outside all day for portraits. 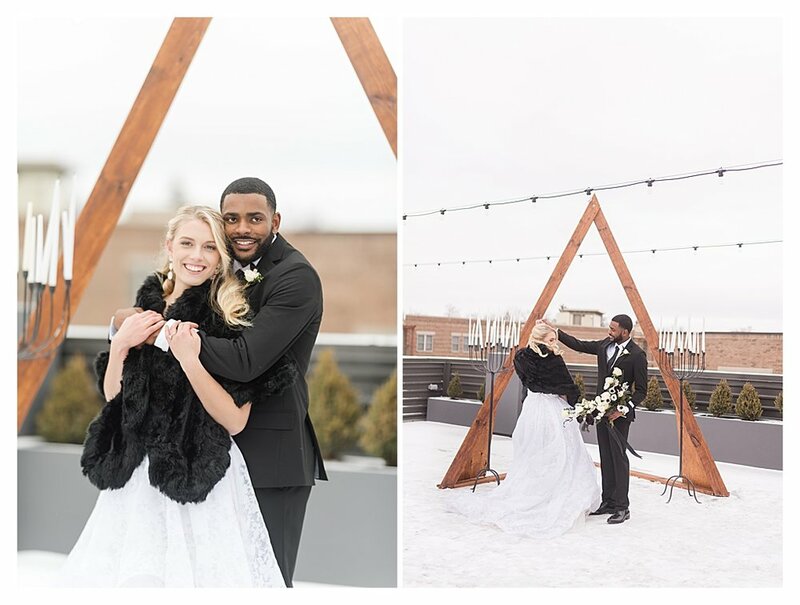 They were such troopers! 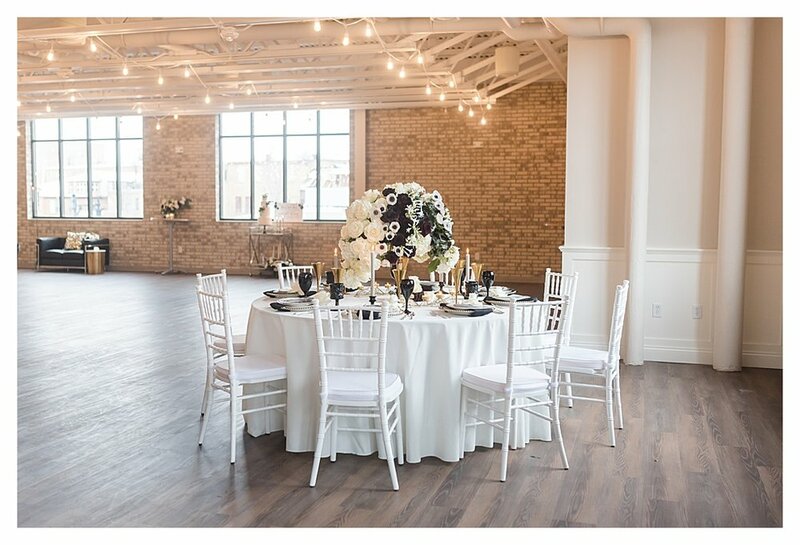 Plus I had no idea that Madison had such amazing venues! 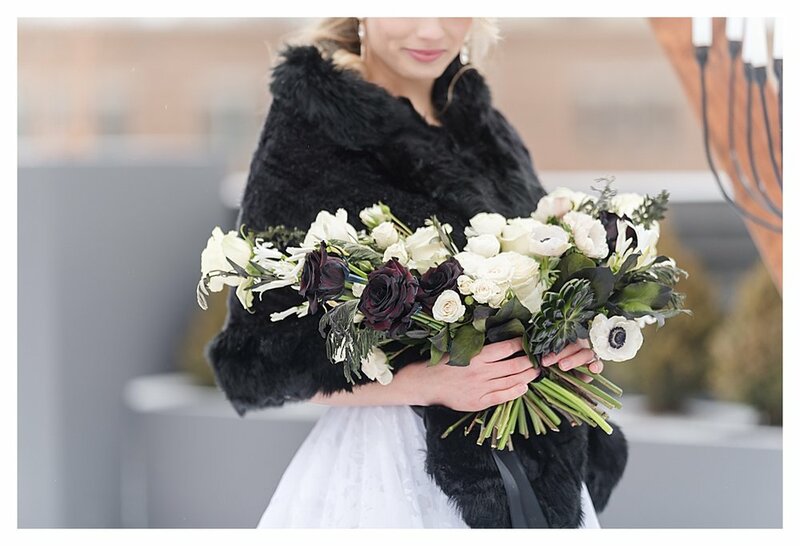 Can you even believe these stunning, over-the-top florals? 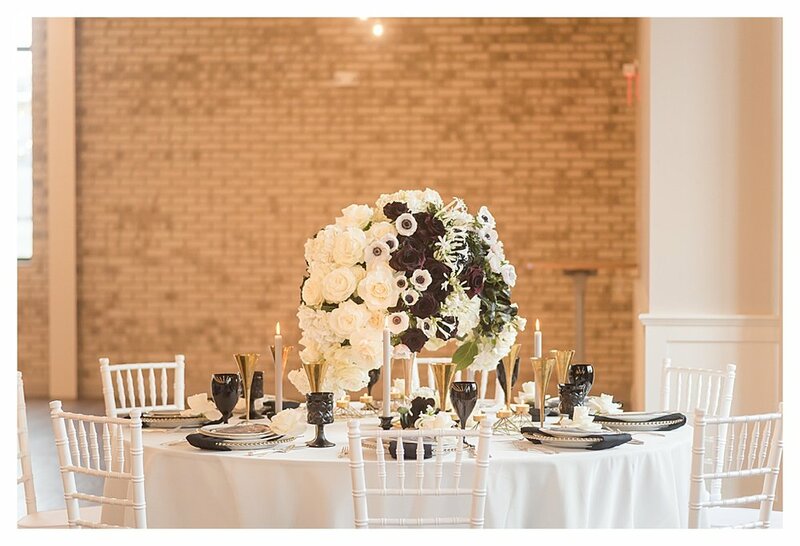 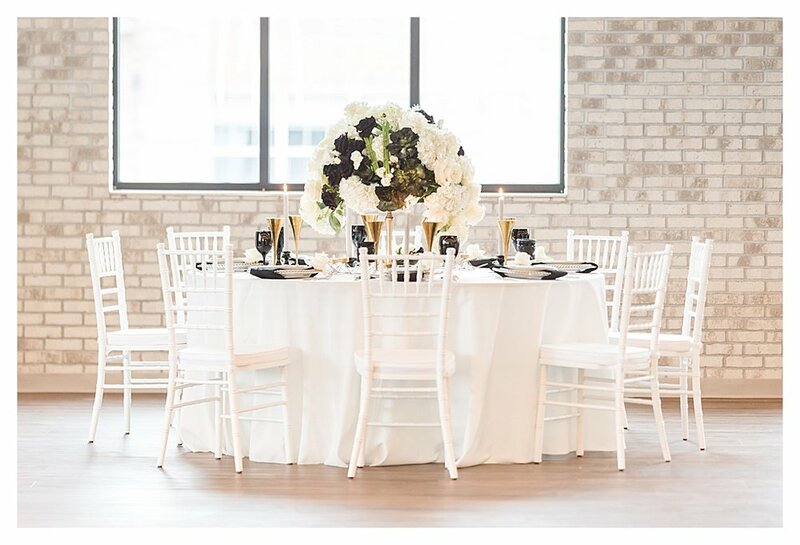 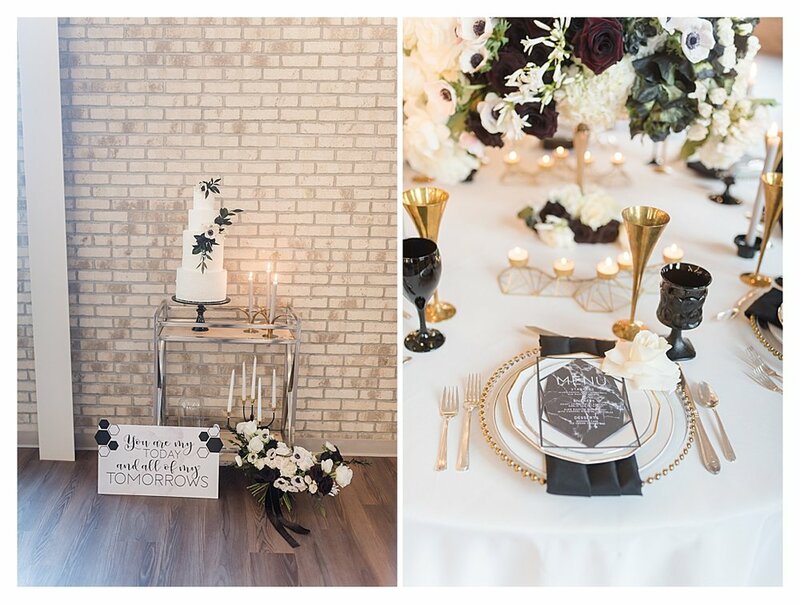 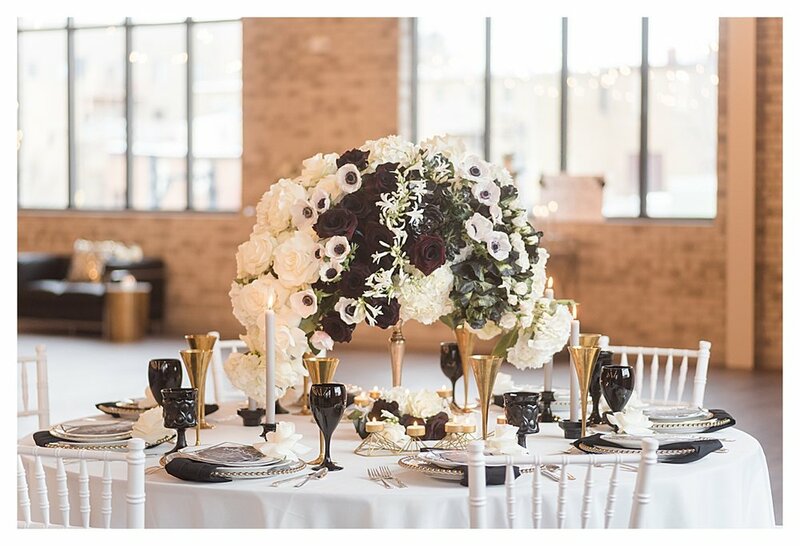 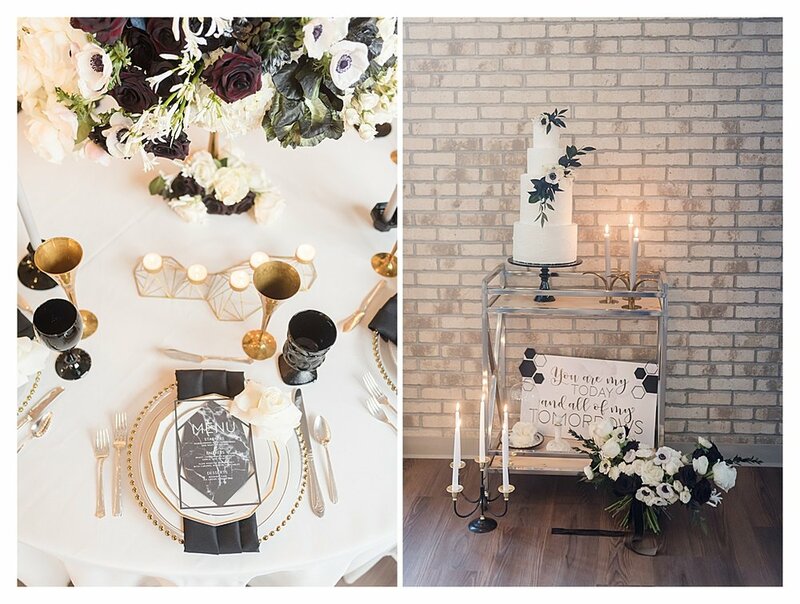 My jaw was on the floor as soon as I saw the elegant black and white centerpiece and bouquet! 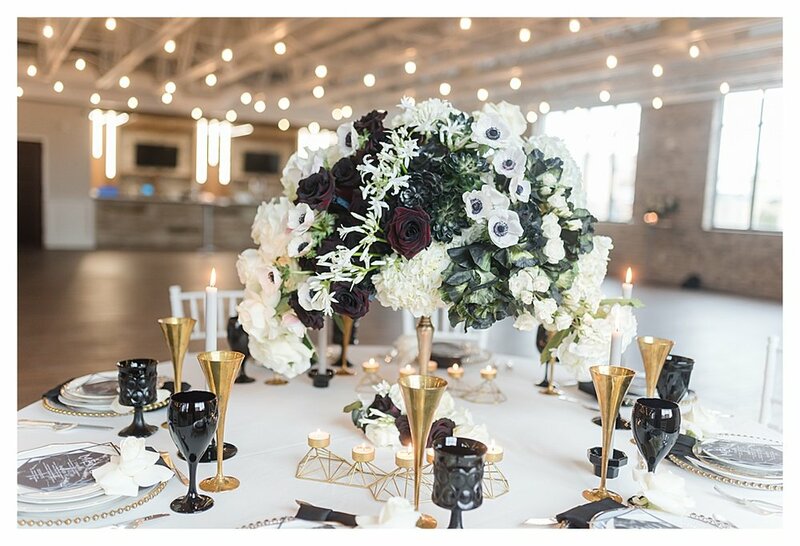 My favorite florist in the world, Sarah from Intrigue Designs always does the most amazing job creating luxury floral pieces! 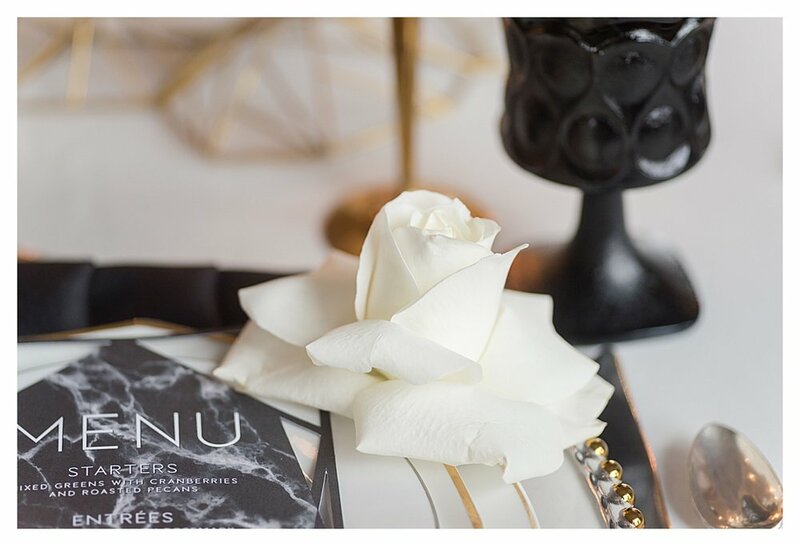 It was so difficult to narrow down this event to an acceptable number of images for a blog post, so I apologize in advance for over-sharing. 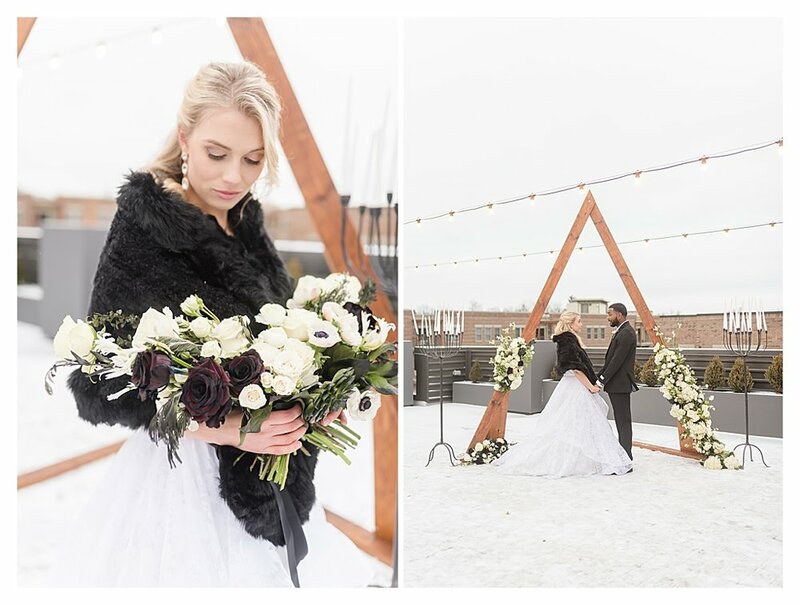 Enjoy my favorite photos from this amazing day!